Another day, another update to Samsung’s Note 7 odyssey. If you’re a frequent flier who’s been holding on to a Note 7 for dear life, I have some bad news for you. The US Department of Transportation, Federal Aviation Administration, and Pipeline and Hazardous Materials Safety Administration have now banned the device on all flights ‘to, from, or within” the United States – even if they’re turned off, and regardless of whether they’re on carry-on or checked luggage. 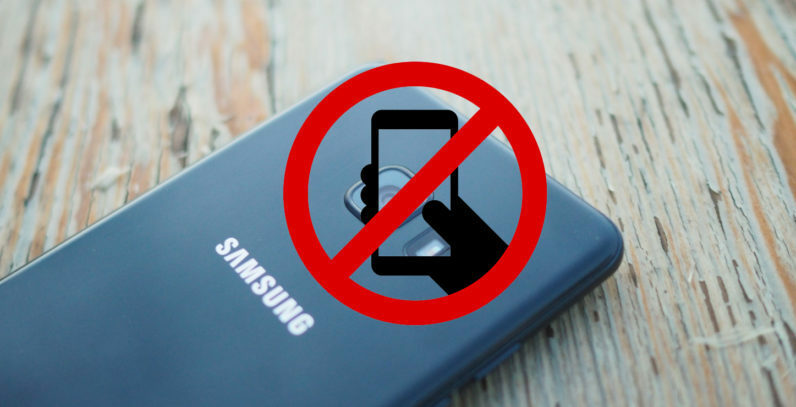 In fact, you can’t have a Note 7 at all if you’re so much stepping onto a flight, and if you try to sneak one in on checked luggage, you can face fines. Airlines are to deny boarding unless you rid yourself of your $900 device. If you somehow do sneak a phone onto a plane, you will be instructed to keep the device off and on your person at all times, not in luggage. The ban goes into effect tomorrow, October 15, at 12 PM ET. That’s not exactly much time to get the word out to every flier. Given 1 million people are apparently still using their Note 7’s, the TSA is going to have a field day with confiscated devices. You can read statement in full at the source link below. And if you haven’t done so already, please just exchange your phone for something less incendiary already. Read next: Missing man's Facebook account springs to life with cryptic messages -- is it him?